Caring Transitions 0f Chicago Western Suburbs is not currently an active member of EstateSales.org and may or may not be conducting estate sales at this time. We recommend browsing our directory of current estate sale companies in the Oak Park, IL area. Naperville Online Estate Sale Auction by Caring Transitions - Ends 7/5! Toys, Art, Furniture, Outdoors: One-Day Moving Sale! Disney, Art, Antiques and More at Caring Transitions Flash Sale! Wheaton Online Estate Sale Auction by Caring Transitions - Ends 4/18! Naperville Online Estate Sale Auction by Caring Transitions - Ends 4/11! Maywood Online Estate Sale Auction by Caring Transitions - Ends 3/29! Oak Park Online Estate Sale Auction by Caring Transitions - Ends 3/21! Glen Ellyn Offers Fine Furnishings, Designer Clothes and More! Wheaton Moving Sale Offers Fun, Fine Finds! Mid-Century Modern Highlights One-Day Caring Transitions Flash Sale! Villa Park Online Estate Sale Auction by Caring Transitions - Ends 1/10! All Art Must Go! To Your Collection? Unusual Estate Sale Offers Antiques, Waterford, Collectibles and More! Burr Ridge Online Estate Sale Auction by Caring Transitions - Ends 8/31! Elmhurst Online Estate Sale Auction by Caring Transitions - Ends 7/26! TWO Online Estate Sale Auctions by Caring Transitions - Including American Antiques - Chicago & Oak Park - End 7/19 & 7/20! Stately Finds in River Forest Online Estate Sale Auction by Caring Transitions - Ends 6/23! Great and Barrel Online Estate Sale Auction by Caring Transitions - Ends 6/23! Breweriana, Vintage Toys And Glassware - Online Auction by Caring Transitions - Ends 6/15! Perfectly Appointed! 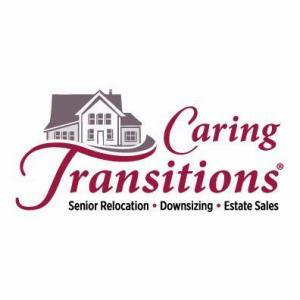 Online Estate Sale Auction by Caring Transitions - Ends 5/24! This company has posted a total of 109 estate sales. Only the most recent 50 sales are shown.